We’d love your help. 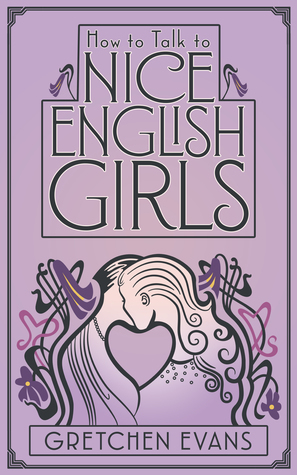 Let us know what’s wrong with this preview of How to Talk to Nice English Girls by Gretchen Evans. But Marian’s world is turned upside down when she meets brash, confident Katherine Fuller. Katherine arrives at the Fieldings’ estate for the wedding of In the aftermath of The Great War, everything is changing. But not for Marian Fielding. To ask other readers questions about How to Talk to Nice English Girls, please sign up. The world needs more F/F Historicals as heartwarming as this one. A lovely sweet romance between a naive English and bold American girl in the twenties. This is really lovely, with a great focus on their growing relationship without overlooking the social mores of the time. I mainly just wished this had been a little longer, and we'd gotten more about the relationship development. It's a very sweet (and hot!) story about two girls finding each other. A gentle but surprisingly steamy for f/f historical romance novella about an American flapper and English lady.